Most people prepare for the change in season by pulling out their warmer clothing and stocking up on their favorite fall treats. To ensure that your home is warm and cozy when the temperatures drop, you will also want to perform some basic maintenance tasks. Conducting a fall air filter replacement is a quick and easy way to improve the performance of your home’s heating system for the winter. 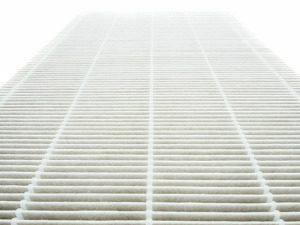 The state of your filter also affects the indoor air quality. Before winter approaches, clean or change the air filters in your home’s HVAC system. Why Make a Fall Air Filter Replacement? An air filter is a standard component in today’s heating and cooling systems. While a simple device, an air filter performs several critical functions in your home. As the season changes, most HVAC professionals recommend replacing a dirty air filter with a clean one. Air filters should be changed at least once per year, preferably just before the heating season. Changing your air filter will provide your home with several benefits. Extend the life of your HVAC unit. 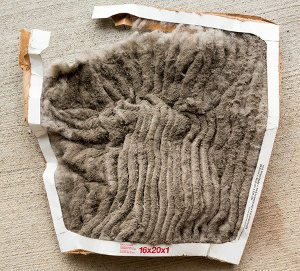 Over the year, dirt and dust accumulate in the air filters of your heating and cooling system. If you fail to change your air filter at the start of the new season, you are essentially forcing your HVAC systems to work harder. As air is not able to pass through, your comfort suffers. Lower your energy costs. When an air filter becomes clogged with dirt and dust, your HVAC system must use more energy to perform, resulting in an increase in your energy bills. Routinely cleaning or replacing your air filter can lower your energy consumption by 5 to 15 percent. Maintain healthy air quality. Dirty air filters can cause dust, dirt, and other pollutants to enter your home. Breathing in dirty air can contribute to a variety of health problems and can worsen existing health conditions like asthma and allergies. Avoid frequent repairs and breakdowns. Clogged up air filters can affect your HVAC system as a whole. As the performance of your heating and cooling systems gradually decline, you may face more frequent repairs and breakdowns. A fall air filter replacement is key to combatting this. Create peace of mind. It takes just seconds to replace your air filter but the peace of mind that it provides to homeowners is invaluable. You can rest easy knowing that your breathing in clean air and your HVAC system is well cared for. Not all air filters are made equal. It is important to be aware of your system’s requirements to determine which type of filter is best for your heating and cooling systems. HVAC air filters can be found at varying levels of quality and at different price points. Pleated air filters are one of the most popular choices among homeowners. While this type of air filter needs to be changed more frequently than other types, they are fairly inexpensive and readily available in sizes from one to six inches. Pleated air filters also offer additional features, such as electrostatic options and odor control. Unlike other air filters that trap dirt and dust inside, the air particles land on the cover of this filter. The folds in the filter are efficient at collecting particles while encouraging ample air flow. Another type of air filter is known as electrostatic filters which rely on static to work. This type of filter does not block air flow reducing common issues like clogging. However, electrostatic air filters do not work as well to remove air contaminants as other options. You may also choose to conduct a fall air filter replacement with a fiberglass panel filter. These inexpensive air filters work well to trap larger dust particles that can quickly build up and cause clogs. However, due to their cheaper price the quality is lower and the filter will need to be replaced frequently to avoid costly repairs. Media air filters are commonly used by HVAC professionals due to their durability and cost-effectiveness. The filter contains several layers of fiber which help trap contaminants before they have the chance to enter your home’s living spaces. The biggest problem with media air filters is they are difficult to find and usually only available to industry professionals. High Efficiency Particulate Air, or HEPA, air filters have become increasingly popular among homeowners. This type of filter stops particles such as pet dander, dust mites, mold spores, and other household allergens from making their way into your home. If you suffer from asthma or allergies, a HEPA filter may be the right option for you. The final main type of air filter is known as an activated carbon air filter. This type of filter is usually used in buildings containing heavy odors or smells, such as cigarette smoke or garbage odors. While activated carbon air filters are not as efficient as other choices at trapping particles, they do work well to minimize unwanted smells. While your home’s air filter is an important component that should be changed before the heating season begins, it is not the only form of maintenance required by HVAC systems. In addition to a fall air filter replacement, you will want to hire a heating and cooling specialist to inspect your new HVAC system. A HVAC contractor will play a critical role in your home’s safety, comfort, and air quality throughout the heating season. As one of the biggest investments you will ever make, take the time to maintain your home’s most important systems. Many homeowners wonder if annual furnace inspections are really necessary. The short answer is yes. During a typical HVAC system inspection you can expect to receive a few essential services, such as a safety check, certification, basic tune-up, and an annual maintenance checkup. The technician will also check for possible issues, such as blockages, leaks, or poor performing components that need to be addressed before winter. While your HVAC system may be in good working order now, preventative maintenance can help prevent costly repairs and breakdowns later down the road.